I walked into my local Costco a few days ago to help my grandmother with her shopping needs. After showing the entrance employee my membership card and being granted admittance into this wholesale world, I met an older man wearing a beat-up yellow Oregon Ducks hat. We got to talking, and little did I know that this conversation would spark deep, intellectual thought centered around motivation. So, what motivates our Ducks? The three degrees of motivation are phrases that Ducks fans hear often, but always hearken true to what the Ducks stand for. Let’s soar through this together. There is no better example of this ‘Next Man Up’ philosophy than Jeff Lockie, who watched Marcus Mariota become a household name. If it was so obvious, everyone would be obsessed with it. I so often hear coaches saying that their entire roster would be ready at the snap of a finger for anything that comes their way, but I know that is not the truth. If the ‘Next Man Up’ philosophy is as important as I think it is, then the Ducks learned their lesson when they got torched by the third-string Buckeye QB Cardale Jones. Take a second to think about the fact that two Heisman-worthy QBs (Braxton Miller and J.T. Barrett) got injured, and the third guy down the line stepped in to win his team its three biggest games of the entire season. That is what ‘Next Man Up’ is all about. I haven’t gone an entire day without hearing the mantra, “the Oregon Ducks are soft.” A great way to counteract that is by having a great mentality when going into battle. Having confidence in oneself is what makes a football player. Being able to execute is what defines a player, and if every young man on the roster knows how to execute the task that is being placed in front of him, no matter where his name is listed on the depth chart, then who is to say the Ducks won’t soar this year? Keep in mind that stats mean nothing in the long run. All the success that Marcus Mariota had from an individual standpoint last year was wonderful, but he is no longer here. 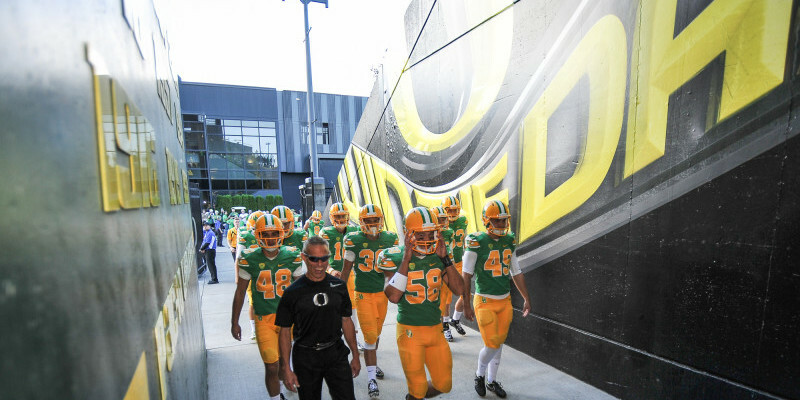 If the ‘Next Man Up’ philosophy proves to be as important as it is, this will be the light that guides these Ducks through the long tunnel that will be the 2015/2016 college football season. Go Fast! Go Hard! Finish! 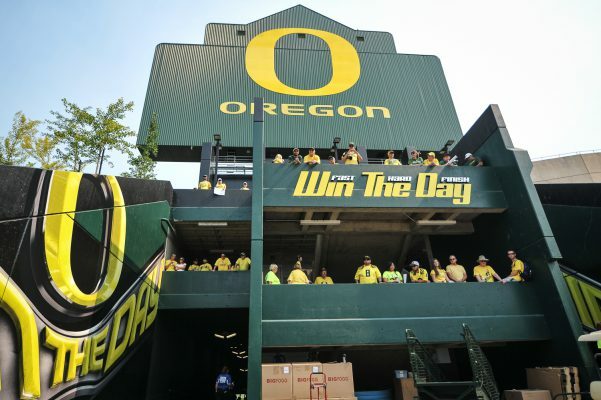 The phrase is uttered before what most people consider to be the phrase that defines Oregon Ducks football (we will speak to that next). Football is all about imposing will, and the Ducks have put together a winning formula over the last few years that stays true to this above philosophy. As Devon Allen coasted into the endzone, Michigan State defenders could do nothing but think about the tornado of speed that burst right by them. Motivation for going fast is the feeling of looking in your rear view mirror, and watching as your competition tries its best to catch up to you. Motivation for going hard lies in one’s ego: “No matter what happens, I can not allow my competition to outperform me, whatsoever.” In the end, doing things the way they are supposed to be done guarantees that the job will be finished. Many people wonder where ‘Fast, Hard, Finish’ comes from. The next time you see ‘Win The Day,’ take an extra second to look at the photo (or glance quickly at the photo below). You’ll see exactly what I’m talking about. And with that, we have a great transition into our next, and final degree of motivation. The majority of this article has been dedicated to tying these commonly-used phrases into the game of football. ‘Win The Day,’ however, is one that every person should adopt for his or her life. We all play this game of life, some much differently than others. On one hand, you might know someone dealing with cancer; on the other hand you might know someone who plays football. In the end, they strive for the same result, and that desired result is to win. 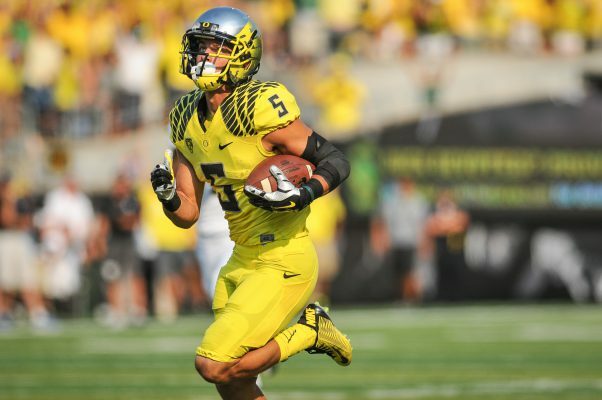 We have a cardinal rule in Eugene, and that is, “Never talk about an Oregon Ducks loss.” While I follow this rule, only because I, too, can suffer from post-loss depression, I guarantee the current Ducks are thinking about their loss to the Buckeyes last year. Nothing motivates someone to succeed as much as a loss — seeing what could have been escape from your grasp is the ultimate feeling of shortcoming. 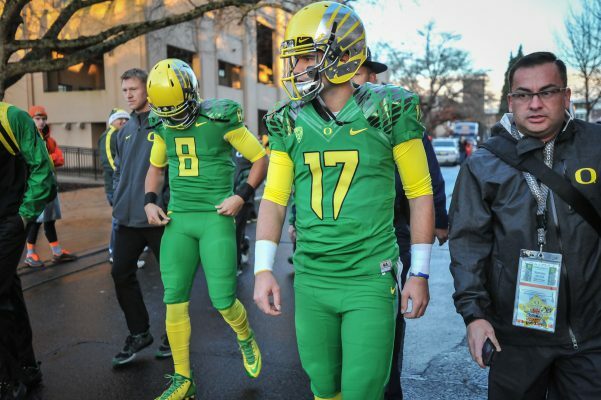 I’m willing to bet that the 100 or so guys who get to call themselves Oregon Duck football players are looking to prove their worth after finishing last season with a loss. Take a guess at what might be the last thing players will see as they run out from the tunnel to face Eastern Washington on September 5.